• Access to water is only lifechanging if it is reliable. 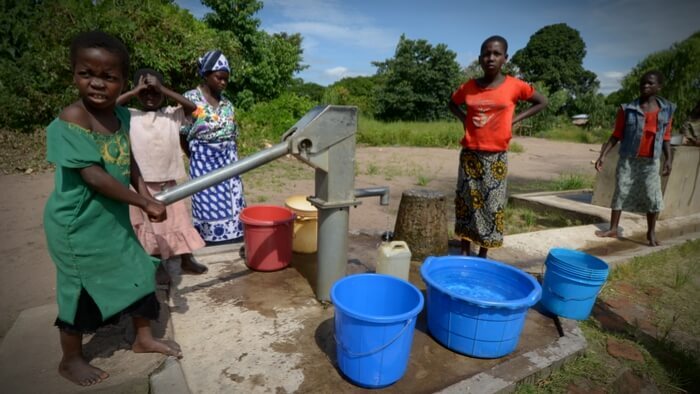 Organizations that put wells into areas without clean water supplies only make an impact if they ensure that well is always providing sufficient clean water, otherwise they actually harm those they intended to help. • How can existing programs be improved to ensure that the desired impact is achieved? How can we better count those with access to clean, reliable water sources in order to make sure everyone who has remaining need can be identified and served? • Learn why access to clean water is a key part of empowering women worldwide. Providing clean, safe water unlocks vast human potential. I see it every day. If you want to make an impact in the lives of women and girls especially, water is the key. I remain convinced that there is no better first step to getting involved in helping folks grow themselves out of poverty. There is far more to actually realizing the full promise of water than installing a bit of hardware in a deep hole. Absolutely nothing changes if a new water source doesn’t work every day, year after year. Reliable and safe water unlocks the imagination of a better future, and imagination births progress. The truth is everything breaks. Water systems, no matter how simple, need care. Even still, increasingly I’ve noticed otherwise well-meaning folks and organizations who seem to completely ignore this simple fact of life. Less experienced actors in the field are likely only parroting former and now disproven theories of “sustainability”. If it was a viable, efficient option, we would have no need of plumbers, carpenters or electricians here at home. The Water Project picked up where others never should have left off. We’re now making the most crucial investment in these water points… making them reliable. A healthy relationship is the key at every step to successful monitoring and repair of water points. A healthy relationship means regular check-ups. It’s a commitment to remain in an area, with local professional teams. We intend to break the cycle of one-off fixes and rehabs — repeated by various orgs over time in any one spot — that leads to an expectation of failure and an unhealthy dependence on this routine born from neglect. Read the full article on reliable water by Peter Chasse at Medium. Learning and benchmarking are key steps towards becoming an impact giver. If you are interested in giving with impact on Poverty take a look at these selections from Giving Compass. Learning with others and benchmarking are key steps towards becoming an impact giver. If you are interested in giving with impact for Global Development, take a look at these events, galas, conferences and volunteering opportunities to connect with individuals like you. If you are interested in Global Development, please see these relevant Issue Funds, Charitable Organizations or Projects where you can get involved.